Here is a pair of brushes I rarely use. The Tuxedo is sold. 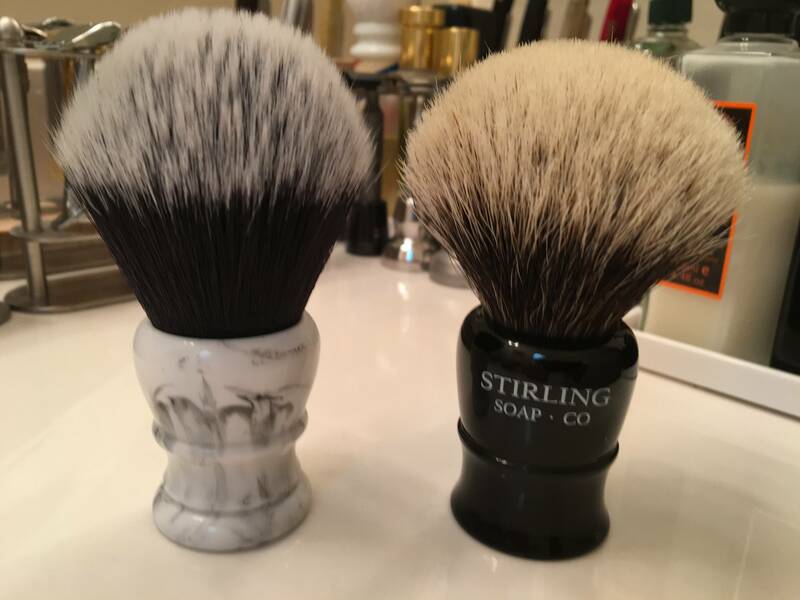 The Stirling is still available. I have reduced the price on the Stirling finest badger. The brush is priced to go. The brushes are sold. Thank you.